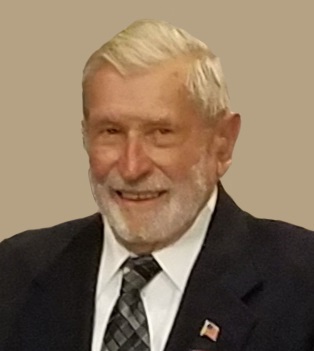 Obituary for Knud A. Hermansen | Feiser Funeral Home, Inc.
Knud A. Hermansen, Jr., passed away on Tuesday, January 22, 2019, at the age of 92. He was the son of Knud A. and Bertha (Jensen) Hermansen and was born and raised in Plainfield, New Jersey. He was the husband of Linda (Drawbaugh Anderson) Hermansen, his wife of 31years. In addition to his wife, Linda, Knud is survived by three sons, Knud E. of Maine, Kristian, and his wife Teen, of York Springs and Kai and his wife Kelly, of York Springs, a step daughter, Amy Caldwell and her husband Bill, of East Berlin, 11 grandchildren, 13 great grandchildren, and one sister, Ann Bird of York Springs. He was predeceased by two sisters, Paula Beattie and Gudrun “Buddy” Chehayl. Knud was a lifelong farmer and was proud to have a partnership of the family farm in York Springs with two of his sons and grandsons. Although he only attended school to the 9th grade, he was an avid reader and loved debating current events and history. He enjoyed visiting and talking with his friends. Knud and his wife traveled to all 50 states, driving to every state except Hawaii. They also traveled to Bermuda, England, Ireland, Wales, Scotland, Egypt, Israel, Jordan, Greece, Tanzania and South Africa. Summers were spent on his boat cruising the Chesapeake Bay but his real joy was crabbing and fishing in Little Creek on the Eastern Bay. Knud enlisted in the Army in June 1944, at the age of 17, serving in the European theater in WWII. He was a member of the Richard J. Gross VFW, Post 8896, East Berlin, where he was a past Commander, an active member of the Memorial Team and the Youth Activities Chairman. He was past President of York Springs Lions Club, a former member of Bermudian Springs School Board, and past President of Bermudian Springs Booster Club. Knud was a loving husband, father, grandfather, and great grandfather, and will be greatly missed by each and every one of them. Following cremation, memorial services will be held on Saturday, February 9, 2019 at 10 AM at Richard J. Gross, VFW, 107 E. Locust St., East Berlin, with Rev. Ted Bowers officiating. Burial will be private. Following the service, military honors will be conducted by the East Berlin VFW Memorial Team, behind the Post building, near the U.S. Army tank. Memorial contributions may be sent to Adams County Library, 105 W. Locust St., East Berlin, PA 17316. Feiser Funeral Home, Inc, 306 Harrisburg St., East Berlin, is in charge of the arrangements. Memories may be sent to; www.feiserfuneralhome.com.